All ESET's products have the ability to detect malware pre-execution, during execution and post-execution. Additional layers can be implemented in the form of cloud sandbox analysis with ESET Dynamic Threat Defense and endpoint detection and response with ESET Enterprise Inspector. Focusing on the whole of the malware lifecycle, not just on a specific part, allows ESET to provide the highest level of protection possible. ESET products continue to excel in the performance arena and win third-party tests that prove how lightweight our endpoints are on systems. ESET Security for SharePoint is built on 64-bit core and includes DLL modules to ensure more RAM saving, faster computer startup times and allows us to natively support future Windows updates. Businesses want to be protected from ransomware attacks and ensure their network drives and SharePoint databases are safe from being encrypted. On upload of a file into the SharePoint Server, ESET scans files to ensure they are not malicious. Leverage ESET’s cloud malware protection system to automatically protect against new threats without the need to wait for the next detection update. If ESET Security for Microsoft SharePoint is unsure of a potential threat, it has the ability to upload the sample to ESET’s Cloud Sandbox, ESET Dynamic Threat Defense, to make the highest quality decision on whether something is malicious. An additional layer protecting users from ransomware. Our technology monitors and evaluates all executed applications based on their behavior and reputation. It is designed to detect and block processes that resemble behavior of ransomware. 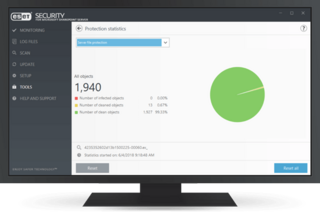 ESET Network Attack Protection improves detection of known vulnerabilities on the network level. It constitutes another important layer of protection against spreading malware, network-conducted attacks, and exploitation of vulnerabilities, for which a patch has not yet been released or deployed. ESET's Host-based Intrusion Prevention System (HIPS) monitors system activity and uses a pre-defined set of rules to recognize and stop suspicious system behavior. 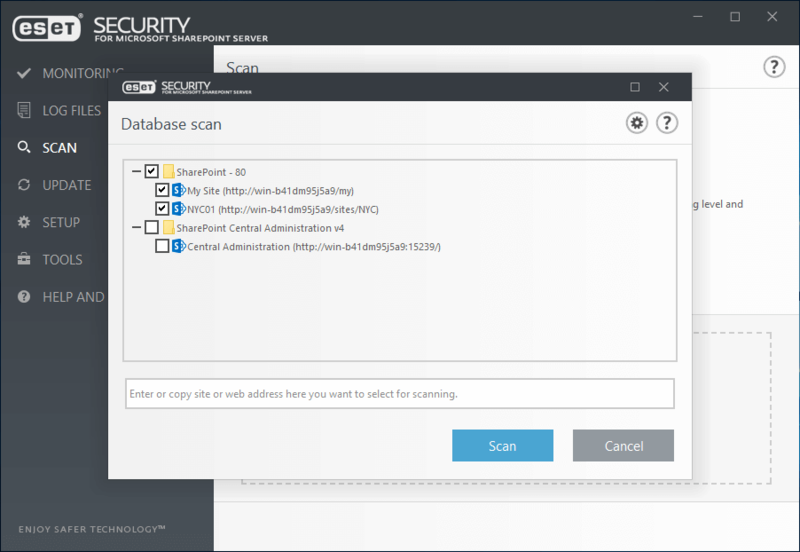 ESET products leverage the Antimalware Scan Interface (AMSI) to provide enhanced malware protection for users, data, applications, and workload. In addition, it utilizes the protected service interface that is a new security module built into Windows that only allows trusted, signed code to load and better protect against code injection attacks. An optional method to pull files where ESET Security for SharePoint bypasses the SharePoint object model and pulls the file directly from the dedicated database server to provide even better performance. All ESET security products are managed from a single-pane-of-glass that can be installed on Windows or Linux. 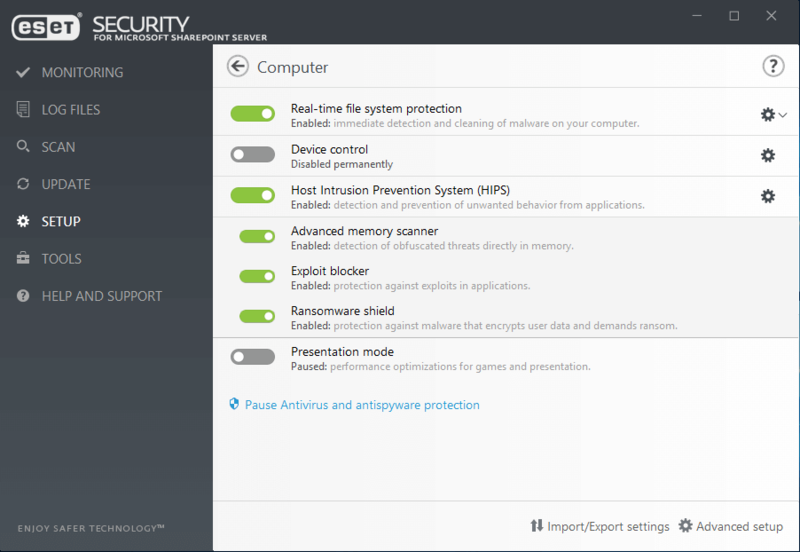 In addition to installing, ESET has a virtual appliance that you can simply import in for quick and easy setup. 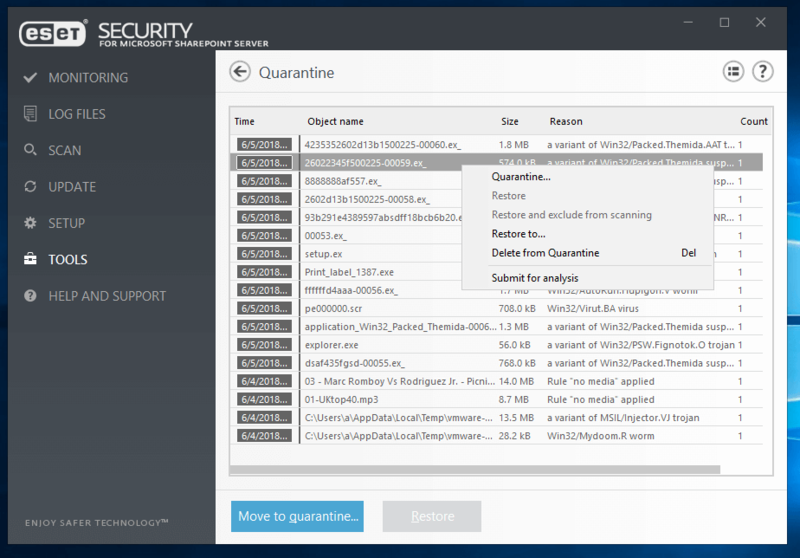 ESET Security for Microsoft SharePoint supports ESET’s endpoint detection and response solution - ESET Enterprise Inspector, and cloud sandbox analysis solution to detect new, never before seen type of threats - ESET Dynamic Threat Defense.